Object research is well underway here at the Museum of Archaeology and Anthropology (MAA) in preparation for the Archaeology of Childhood exhibition. 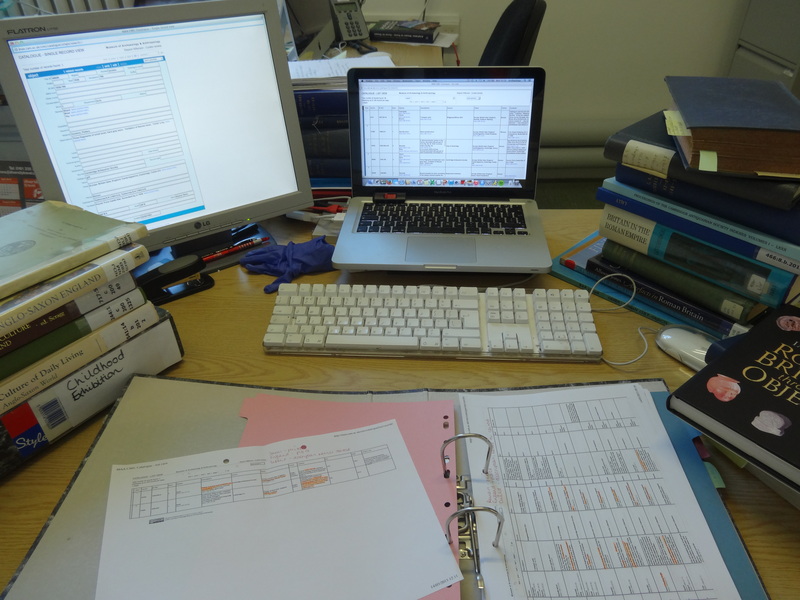 As the new HLF Project Assistant (Collections), I will spend the summer researching the collections at MAA creating object-lists before we draw up a shortlist for the exhibition. Starting with the Romans, I have discovered everything from feeding bottles to dolls and I can’t wait to start opening boxes to assess and photograph the objects and begin researching them to help us tell their stories in the exhibition. We have quickly learnt that our database doesn’t necessarily tell us all we need to know and it has become a task to navigate the correct terminology and key search-words. However our object-lists are growing and I am sure they will continue to do so as the project develops. As we start delving into the stores we will keep you updated with objects or archives that catch our attention. Whether a Bronze Age miniature bow (keep an eye out for MAA curator Jody Joy’s blog on this) or a Roman clapper found in a child’s grave, each object will help us learn more about the archaeology of childhood and the collections here at MAA.